I get lots of e-bills (utility, telephone, the Internet, mobile, cable and so on) in a PDF format for my small business, and I need to forward those to my accountant. However, all PDFs files are password protected. I do not want to share my account password with anyone to just open my bills. Evince is a PDF document viewer capable of displaying password protected files, but it cannot remove the password. How do I remove a password from all PDFs under Ubuntu or any other Linux distribution in a batch mode? pdftk – A handy tool for manipulating PDF file. qpdf – The qpdf program is used to convert one PDF file to another equivalent PDF file. xpdf-utils – Portable Document Format (PDF) suite — utilities such as pdftops and ps2pdf. 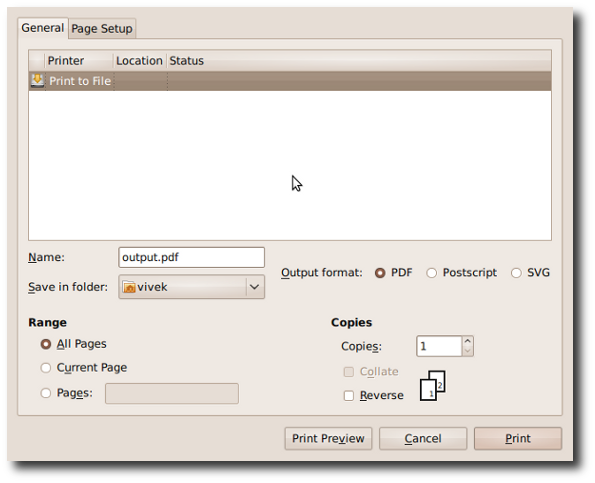 Print to a file – Use Evince software itself. How Do I Use pdftk To Remove The Password? owner_pw password : Input PDF owner passwords same as input_pw. How Do I Use qpdf To Remove The Password? How Do I Use xpdf-utils To Remove The Password? Please note that the ps2pdf command is part of ghostscript and it will get installed when you run xpdf-utils. How Do I Use evince To Remove The Password? Enter your password. Once opened click on File > Print > Select “Print to file” > Select “PDF” as output format and click on Print. Writing a shell script left as an exercise to the readers. Very well written and overcome lots of irritating passwords. Very good note. Edited by admin – added code tags. that gs command on linux doesnt work with certain PDFs… wherease those some PDFs are correctly de-crypted with that command on Windows. 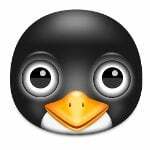 Does an alternative method exist for removing protections from PDFs on linux ? Note that it won’t work if you don’t know the USER password. OWNER password is only for enforcing restrictions, USER is for opening the file and be able to view it. You could just ‘print’ the file to postscript, and then use ps2pdf to make a new pdf. the ghostscript command doesn’t seem to work on forms. The file gets decrypted ok, but the form fields get stripped out. pdftk – It requires the Owner-password. xpdf-utils – I’d like to avoid PDF -> PS -> PDF, as it could increase the file size and maybe lose some PDF features. Print to a file (using Evince) – It works, but the final PDF was 3 (or more) times larger than the original. So, the best solution for me was qpdf, as it converted a PDF directly to another PDF, kept the file size almost the same as the original (in fact, it shrunk a little), and it worked fine with the only password I had. > pdftk â€“ It requires the Owner-password. > qpdf â€“ Worked perfectly! in my case there was a very small increase of a file size, 5.38 Mb (encrypted) -> 5.40 Mb (decrypted). evince isn’t a true command line option as it requires X and my servers don’t have X so not even a viable solution. I also agree with MM as I don’t have the passwords to the documents I’ve been sent but still need to read the PDFs to place in the correct place on our servers and none of these options provide a solution. Thank you very much for this useful infos. Nickwe comment is working for me. i used command called CAT > telnet.pdf after using this command my entire pdf file are not opening what do i do now? please any one can help me out…. I want to open some pdf file which are locked from opening can i use the command line in window os. I was looking to install qpdf on Centos, but yum install wouldn’t do it. I had to use the following to get it installed. 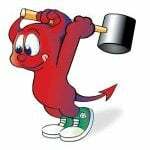 Worked for me on Red Hat, thanks! it worked! I only waited 10 or 12 minutes! 1. If the encrypted pdf file set an “file open” password, and you don’t know the password. Then neither pdftk, qpdf nor gs can decrypt the pdf. 2. If you know either owner or user password, you can decrypt the pdf with qpdf. Though there may have som error message. The idea is that you can open and show the content first. I could only remove the password from a file (with probably AES encryption inside) by using MuPDF. No program mentioned above worked with my file. This command generates out.pdf without the password. Same here, I tried all the above solutions. Did work for me, cheers! Thanks for the tips but here is what I tried (before I came across this site). I searched everywhere for an option where I could have stripped it of the password, but there was none. 4. Viola… without anything being done from my side, a new PDF file was created sans the password protection. Only problem with the print-to-pdf versions (evince, okular) of this process is that any forms, indexes, links, etc. will be removed. qpdf worked perfectly. pdftk did not work at all. Thanks for the tips! pdftk – did not work with user_pw / input_pw / owner_pw. pdftops – worked, but lost digital signature of the original pdf. qpdf – worked, retained the digital signature, great! In cygwin (can’t say anything on other platforms), the way you describe pdftk does not work. The command seems not to be in the right order. I had a weird document that was encrypted without a password. The solution was to decrypt it using qpdf without the password argument. I found it very useful for my airtel bills and some docs from banks. the order of parameters matter to pdftk, hence the input_pw should be used before the output command. Otherwise, the tool does not use the password. The title is right in my opinion, as that is what came to my mind for googling, when I needed this. Indeed! For pdftk 2.02 or newer input_pw must be put before output. xpdf-utils 3.02 is a stinker; I would recommend caution before proceeding with installation. On my Ubuntu system, without warning it removed Ghostscript, the Generic CUPS-PDF Printer driver and CUPS, and messed up the backend files for my HP LaserJet, leaving my system with no way of printing anything. Fortunately, when I saw what the xpdf-utils installer had done, I captured the log from the terminal window and saved it as a text file, so I could use it as a guide to restore what xpdf-utils had destroyed. In my opinion, xpdf-utils is an ill-behaved POS that doesn’t belong in any repository. The Xpdf site now shows version 3.04 as the current one, but I wouldn’t bet that the installer is better-behaved than the one I got from the Ubuntu repository.